Nokia X Android devices are equipped with Nokia Store and there is an option to install third party app stores on the device. However there are no Google based services available on Nokia X devices out of the box. Nokia has integrated Microsoft’s cloud services into the device. Although Nokia X phones are running on Android Jelly Bean OS, but it has been heavily modified to look like Windows Phone and functions like Asha’s Fast Lane. Nokia Store is perhaps too limited for Android apps at the moment, so everyone who would be owning these economical Nokia X devices will anxiously need to access Google Play Store for installing latest applications on their respective devices. This guide will be teaching you, how you can install Google Apps on your Nokia X smartphone. Google Play Store can only be installed if your device has been rooted. For that all Google Apps need to be copied to system/apps using any root explorer file manager. You can even have Google Now Launcher installed on your Nokia X device to have pure Google’s Android experience. Please note that this guide will be working with Nokia X, Nokia X+ and Nokia XL. 1. Root Your Nokia X Smartphone. 3. Download & Extract NokiaX_Gapps_KashaMalaga_28.02.2014.zip into system/apps using Root Browser. 4. Reboot your device. (Turn it off and then turn it on again.) 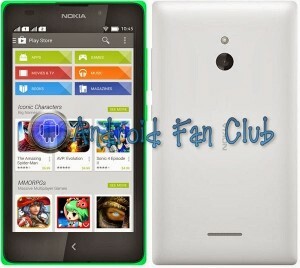 – After successful reboot, you will be able to see Google Play Store installed on your Nokia X Device. Now you can install your favorite apps from Google Play Store. Simply search for snapchat apk file and put that apk file on your phone and access it with any file manager to run the installation. is there any simple way to install google play store on my nokia xl and how? The only way to install Google Play Store on your Nokia XL is mentioned above. There is no other way unfortunately at the moment. No it won’t hang your phone. Just do not update Google Play Store itself from the phone updates.